This 3 Day Budget tour provides an opportunity to experience the breathless views of probably the most scenic and surreal landscapes on earth. The Namib desert holds some special secrets. 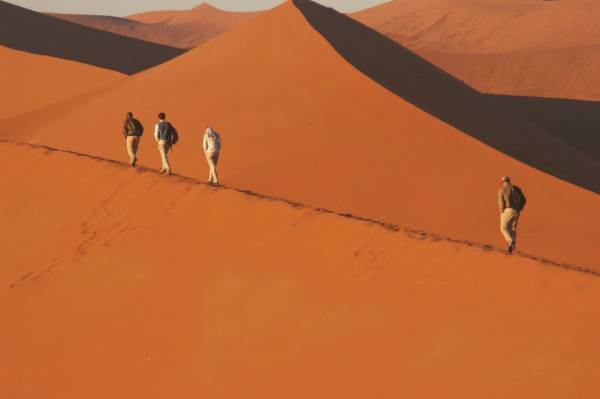 Explore Soussuvlei, Dune 45, Sesriem Canyon and Dead vlie. A camping adventure tour which is fully inclusive. Our Namib Desert experience starts in Windhoek with early morning pickups. We travel through farmlands and pass over the Naukluft Mountains. We pass the desert town of Solitaire and head for our camp located in the red sand dunes of the Namib Desert. We enjoy a sunset over the desert. After breakfast and we begin our journey back to Windhoek. 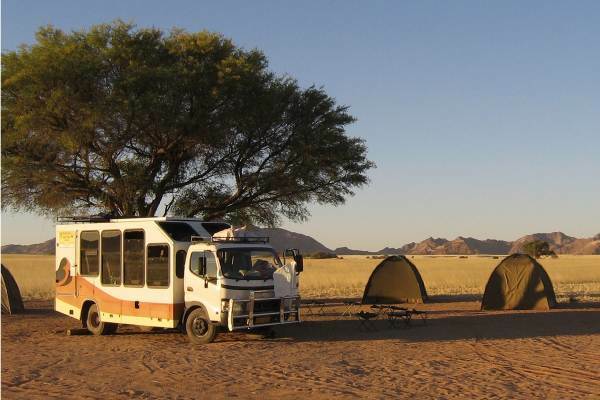 We follow a different route crossing mountain ranges and rural Namibia. We expect to arrive back in Windhoek in the late afternoon where our Namibia desert tour comes to an end.